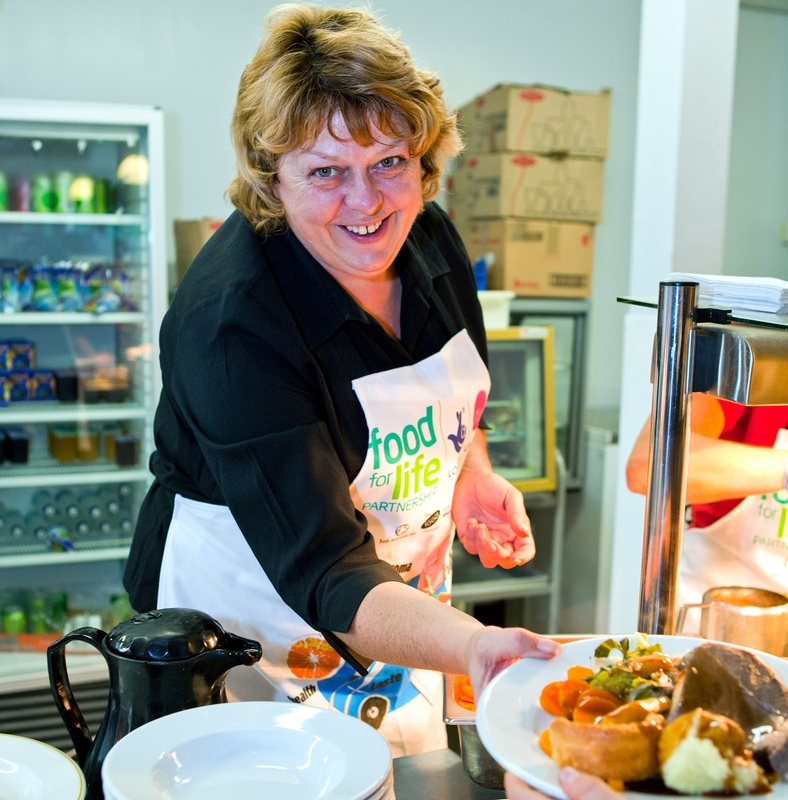 November sees the fourth annual Food for Life Partnership ‘Roast Dinner Day’ taking place where schools are encouraged to serve up a freshly prepared, locally sourced roast dinner to their pupils, and invite family, friends and dignitaries from the community along to join in the celebration. The idea was dreamt up by Jeanette Orrey, the dinner lady who inspired the Food for Life Partnership nearly 10 years ago. 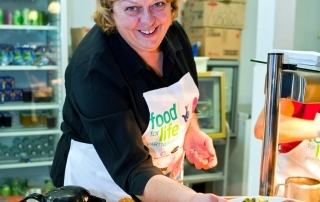 Jeanette has worked tirelessly since then to ensure we don’t forget that it’s the school cooks who are at the heart of the food we serve our children. Roast Dinner Day is a celebration of all that’s good about freshly prepared food, bought in from local suppliers and farms; it also gives the cooks an opportunity to share their love of cooking and good food. Jeanette realised early on that the school cooks needed a ‘voice’ as they can often feel isolated within a school. She created the National Cook’s Network, inviting cooks from across England to come together for regular meetings, shared experiences, supporting each other and also working with other schools to pass on their knowledge and pearls of wisdom. From the original national network, we’ve now seen the growth of more local Cooks Networks, in areas such as Calderdale and Swindon. With Jeanette’s encouragement (as someone who has ‘been there herself’), these networks quickly move from an often initial reluctance to get involved, to becoming vital support groups for cooks in a very short space of time. Now that the government backed School Food Plan has been launched, with the mission to increase school meal take up, we need our school cooks more than ever to be motivated and feel a part of the school team. Events like Roast Dinner Day, and our Cook’s Networks, do just that job! Find out more here.